Wow, it's been a crazy week for us here at TOG, and things have gotten away from us! So, without further ado we're going to jump into this week's Kickstarter Weekly! In this, the third and final installment in the Get Bit trilogy, players are once again playing as some less than intelligent pirates who have just gone overboard in "Walk the Plank!". This campaign is going gangbusters and there are a few stretch goals unlocked with more on the way! A fun looking single-deck card game for the family. Players compete as emu ranchers trying to build the best farm for emus possible. It's a 2-player game, with lots of cool stretch goals to come, they are just now on the brink of funding and there is plenty of time to get in on this one. Just for a pledge $15 you'll get your own copy of the game. The campaign ends Dec 27 and you can check it out here. The game looks cool and the concept of easy, and quick playing battle simulation is very intriguing. With a backstory that sets the game in a sci-fi world that brought an army of dinosaurs from an alternate dimension. Despite the slick video, and clever concept, unfortunately it seems this one is going to fail. If you'd like to get in and try to help get this game funded you can snag a copy for $40. The campaign ends Dec. 5, check it out here! There certainly is no shortage of new dice games hitting the market. We've seen several titles hit Kickstarter with custom dice and gameplay. This latest one is set in the Pathfinder universe; players choose their favorite character and go at it in a tournament battle setting. If you're digging the influx of dice games, and are a fan of the Pathfinder universe, you should check this one out! The one downside to this is, it comes with a pretty hefty price tag. The base game is $62 ( which includes no stretch goals) $65 early bird (all stretch goals). Ends Dec. 30, and the campaign can be found here. Thanks for checking out this week's Kickstarter Weekly! What games are you backing, and which games did we miss out on this week!?? Let us know in the comments below, and find us on the internets, Facebook, Twitter, Instagram, YouTube and our Podcast on iTunes! Hey gang, it's been an exciting week around here, we just recorded our third episode of the podcast, and it should be showing up in your feed sometime really soon! Meanwhile, Kickstarter is doing its thing, so let's take a look at what's going! Our featured campaign this week is a fun-looking family game in which players create their own monster with a unique set of powers, and then pit them against other players' monsters in a battle royale! Get ready to grab all that junk flying around in space and patch together your own rocket ship, and battle your friends in this light strategy board game. This one looks interesting, but the campaign is off to a slow start. The campaign ends Nov. 11 - $40 Canadian gets you a copy of the game—check out the campaign here! It's zombies! Players will each have their own set of would-be survivors and take on their own swarm of zombies. The minis look cool for this one, including a big, bad, mutant zombie boss that will be able to hold his own cards! Yeah. The campaign is going really well; it funded in 2.5 hours, and ends Nov. 12—a pledge of $50 gets you the base game, and the full campaign is right here. The first release of AAIIEEE! Games, Castles boasts being a quick, unique card game that will have two players battling it out using wizards, minions, and more. This one has us intrigued, and they should be able to hit their funding goal of $6,000. The campaign ends Nov. 9, and it's only $20 for the game—you can find the full campaign here! Novus Feature Card Game—Zenion Game, Inc.
Zenion is calling Novus a "Feature Card game" which is a CCG without the "Collectible." This game comes with 4, 50-card decks. To play, pick a deck, shuffle, and go. 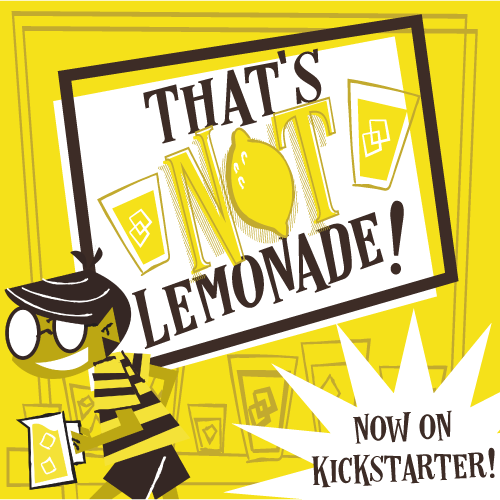 This one looks like a Kickstarter no-brainer: cool theme, great art, great concept. They've already unlocked 3 stretch goals and there's plenty of time for more! The campaign runs until Nov. 1 and $32 gets you a copy of the game—you can check out the full campaign right here! Thanks so much for reading! You can also find us on Facebook, Twitter, YouTube, and Instagram, and you can download our Podcast on iTunes! So, what are you backing on Kickstarter? Let us know!